Find the best mattress for your body and budget. We look at the pros and cons of different types - from memory foam mattresses to pocket sprung and latex. Memory foam, pocket sprung, latex, open coil, continuous coil... not sure which type of mattress is best for you? We look at the pros and cons of the main types of mattresses to help you find the best. 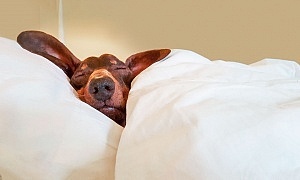 There are four main mattress types to choose from. 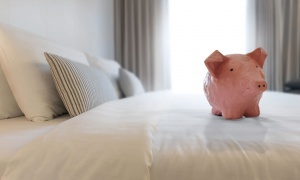 Most mattress manufacturers make more than one type - different varieties go through a different manufacturing process and cost different amounts. Price isn't everything, though, as what is most important is what you as an individual find comfortable. Use our interactive tool, below, and read our expert tips to help you decide which type of mattress to buy. Once you've made up your mind, you can use the filters on our independent mattress reviews to find your perfect mattress. Keep reading for more information on the main type of mattress. Or, if you already know which type you want, find out how to buy the best mattress. 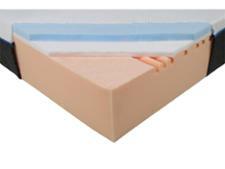 In pocket sprung mattresses, the springs are sewn into individual fabric pockets. Pocket sprung mattresses are the most popular type of mattress among Which? 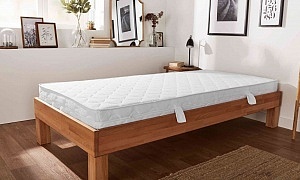 members - more than half of the members we surveyed about their mattress had bought a pocket sprung one. Pocket sprung mattresses don't mould to your shape in the same way that memory foam mattresses do, but that doesn't necessarily mean they offer less support. They also tend not to be as warm as memory foam mattresses, which could be an important consideration if you tend to find yourself too warm at night. We've tested some great pocket sprung mattresses at a range of different prices, so you're sure to find one that suits you. Go to our Best Buy mattresses page to see the very best. Memory foam mattresses, also known as memory mattresses, are topped with a layer of temperature-sensitive viscoelastic material (memory foam). They can be expensive, but we've found some fantastic memory foam mattresses for less than £400. This makes the shape of the mattress change to fit the shape of your body, and it also tends to make the mattress feel warmer. Everything you need to know about this increasingly popular type of mattress can be found in our memory foam mattresses guide. If you already know that you want to buy a memory foam mattress, you can find the right model for your budget and body type by reading our mattress reviews. These mattresses are cheaper than other types of bed mattress. Open coil mattresses are made of single springs fixed together by one wire. Because the springs move as one unit, you're more likely to be disturbed by your partner moving around during the night. The coils in these mattresses wear out more quickly than pocket springs, so you’re likely to end up rolling together eventually. When we surveyed Which? members to find out more about mattresses, those who own an open-coil mattress are less likely to say that it helps them to get a good night's sleep than those who own other types of mattress. You can find out more about our survey results, including which brands to look out for, in our full mattress brand reviews. Latex is a less common type of mattress which features a core made up of layers of springy latex. These mattresses tend to be more expensive, but manufacturers claim that they are more resilient and able to better keep their shape. 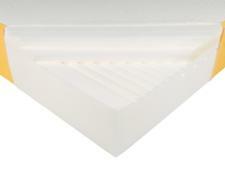 Manufacturer Dunlopillo specialises in latex beds, although the Dunlopillo mattresses we've reviewed don't come cheap. 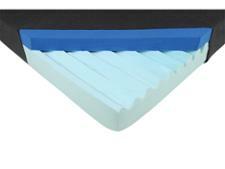 These are different from mattress protectors in that they add a layer of extra padding to your existing bed. Mattress toppers can be made of memory foam or other materials. However, they can be as expensive as buying a new mattress in some cases, and won’t provide more support if your old mattress is already sagging. Discover which are the best mattress topper brands according to our survey of more than 1,000 mattress topper owners.